Tim Jennings, Managing Director, Cbildren's Theatre Company. “A financial institution of our size cannot afford to have a dedicated HR employee. In the past, we had managers in other areas tackle HR as an additional responsibility. That never worked well, so when I met Kelly at a Chamber event, I was excited about the possibility of hiring her as a HR consultant. After a couple of interviews, we hired Kelly on a retainer basis. She is now part of our team and brings a wealth of HR experience and knowledge to the table. We've also hired her on a project basis. Most recently, she worked to develop a new performance appraisal system for us. As a result of her work, we're setting new standards for both our managers and front line staff. We're also reaching for higher goals, both as individuals and as a business. It's been said that employees are the greatest assets that a business can have and I absolutely agree with that sentiment. If you're interested in improving the relationships that you have with your employees or if you're looking to hire the right people for the job, I would recommend that you contact Kelly. I'm happy that I did. Kelly has worked for us for several years. She is very good with detail and has helped us streamline our hiring and our annual review processes. She has added value and expertise to every project she has been involved in. "I hired Kelly (Roo Solutions) to work with Spec Plating, Inc., specifically to drive organizational transformation through a number of key human resources initiatives. Kelly brought professionalism, talent, and a broad skill base to achieve dramatic results for the company. In a very short time, Kelly helped usher in a comprehensive employee manual, mitigated operational and organizational challenges, effectively introduced new policies/procedures, and in overall terms, developed a well-functioning department. She showcased her leadership and skills as she strategically planned and executed initiative roll-outs. Kelly worked effectively across all functional areas of the company, representing two facilities (KS, MN). She was a pleasure to work with and without reservation, I recommend Kelly for any challenging assignment in her realm of expertise. 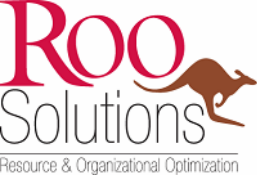 As opportunities arise, I would gladly secure another engagement with ROO Solutions." I had the pleasure of working closely with Kelly on a project, both of us as consultants for the same organization. Kelly is very knowledgeable of human resources best practices and a positive contributor to any project. I would welcome partnering with her in the future again! Kelly was a great partner in developing customized leadership training that brought our values to life. She took the time to ask questions that brought out the details and behaviors of the core values in order to come up with creative activities to help our leaders learn. She took the time to understand why we were doing the training and was able to develop the curriculum to support the overall organizational culture changes. She brought real life scenarios to the facilitation of the courses that allowed her to connect with the leaders as a credible facilitator. Kelly’s depth of experience and knowledge in HR, developing leaders, and training provided us with a versatile resource. She is creative, resourceful, and would be a strong partner to work with to provide solutions that work to support the overall goal of the organization. Kelly is incredibly knowledgeable about HR and organizational development with respect to nonprofits. I view her as one of my best referral partners, and my clients LOVE HER! I would recommend her to ANYONE needing assistance with on-boarding, employee issues, or workforce planning! "I had the privilege of working with Kelly Rietow for about six months at Spec Plating Corporation. During this time Kelly established many good things for the company and myself. She created a formal performance review process from the ground up. Kelly was also instrumental in teaching me about employment laws. She was helpful whenever I had questions and if she did not know the answer she always found the answer." "Kelly was brought on board during a challenging time of great change at the organization. First and foremost, she proved to be level headed and practical about what needed to be done. She was able to quickly gain credibility at all levels within the organization. She did a good job of assessing and prioritizing the tasks at hand and is very honest about what she can do and where she felt other help was needed. She has strong HR knowledge and knows how to leverage her resources. Even more important is her common sense approach to getting the job done - that can be hard to find. I would not hesitate to recommend Kelly for a similar consulting assignment." I was an intern in ROO Solutions. Working beside her, she always kept me engaged in the event. She is very knowledgeable about HR, and always kept the HR audit and presentation very resourceful. She also has great training skills which made me dive right in it very quickly. I would recommend Kelly as a great partner!